For more information about the products or services we offer, please use any of the contact details listed. You have requested quotes which have not been sent. If you leave the page, these will all be cleared. Do you want to send the quote requests now? 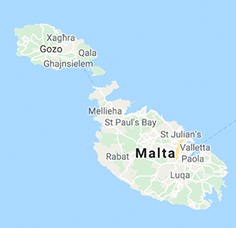 © 2006 - 2019 Findit is a online business directory for the islands of Malta and Gozo. If you are looking for goods and services in Malta, our website will help you do that quickly and efficiently. The content published on findit may not be reproduced, in whole or in part, without the prior written consent of Findit. Findit takes no responsibility for the accuracy of the content on this site which is submitted by our clients. Findit also takes no responsibility for the content of websites that link from findit.com.mt.